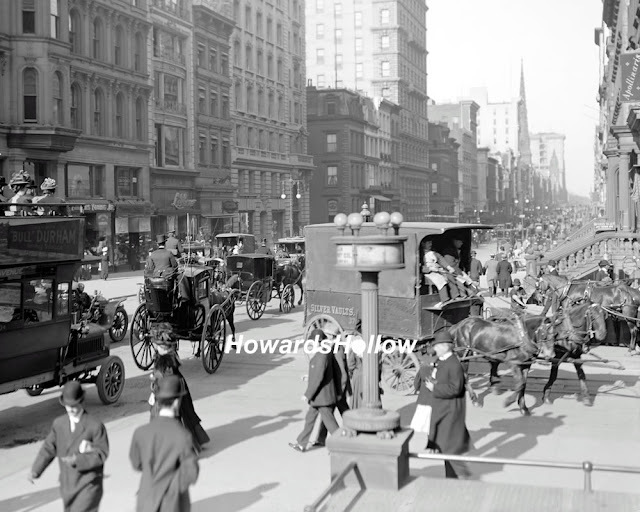 Throwback Thursday " 5th Avenue in 1905"
Another great photo from Howards Hollow website, 5th Avenue and 42nd Street, in 1905. There is so much detail in this photo! The horse drawn carriages, those great hats on the gentlemen, and the gorgeous architecture which we still enjoy today! I really need to order some of these amazing photos and frame them for my walls at home. What a treat to enjoy these on a regular basis! If only that DeLorean car really was a time machine! I would be first in line to take a ride. Would you?